You don’t need to travel across the pond to try some classic Italian food. Avanti’s has been serving Italian dishes to the BN community since it was founded here in 1971. But it’s most famous menu item is the gondola: ham, salami, cheese and lettuce served on fresh baked bread. Buon Appetito! Gus Belt, we don’t have to. He opened the first Steak ‘n Shake in Normal in 1934. Today, people in 32 states can enjoy their chili, steakburgers and milkshakes. State Farm Insurance has been a good neighbor to Bloomington-Normal, which is where it was founded in 1922. BN continues to serve as its headquarters. With 14,109 employees, it’s BN’s largest employer. Nationwide, it has approximately 65,000 employees and 18,000 agents. Dorothy Gage was born in Bloomington and died in infancy. Her uncle, author L. Frank Baum, in an effort to console his wife gave the protagonist of his new novel, The Wonderful Wizard of Oz, the name Dorothy Gale. She is buried at Evergreen Memorial Cemetery. What started out as a self-sustaining family farm has grown into a seventh generation dynasty. Ropp Jersey Cheese Farm produces cheese curds as well as artisan cheddars, colbys and many others. It also sells meat products, including pork, beef and poultry. BN has quite the presidential history. Adlai Stevenson moved to Bloomington with his family in 1852. He attended Illinois Wesleyan University and founded the Bloomington Daily Bulletin. He was elected to the United States House of Representatives and served from 1875-1877. He served as vice president under Grover Cleveland from 1893-1897. He is buried in Evergreen Memorial Cemetery. Abraham Lincoln spoke out against the Kansas-Nebraska Act in the since-destroyed Major’s Hall on the corner of Front and East Streets. This speech catapulted him as the leader of the Illinois Republican Party. Founded in 1857, Illinois State University is the oldest public university in the state. Among its original supporters were David Davis and Jesse Fell, whose friend, Abraham Lincoln, was the attorney hired by the Board of Education to draw up legal documents to secure the school’s funding. 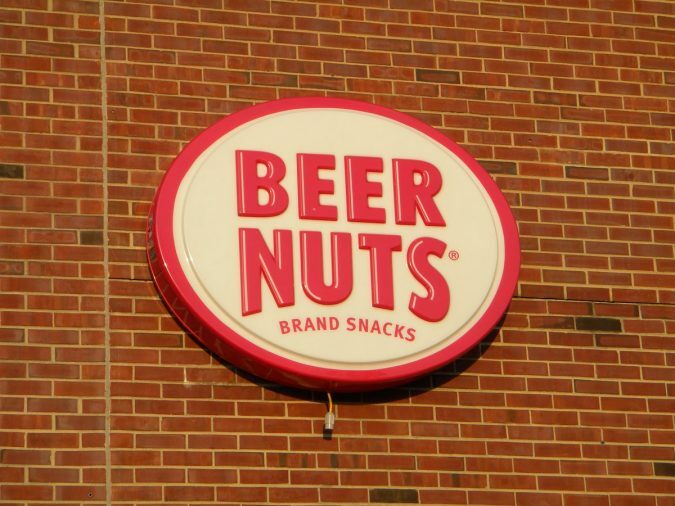 In 1937, Edward Shirk founded Beer Nuts, which produces different types of nuts covered with a sweet and salty glaze. Bloomington is still the only city in the world to make this product, and they now ship to all 50 states even some foreign countries.